Upscale living at its best! 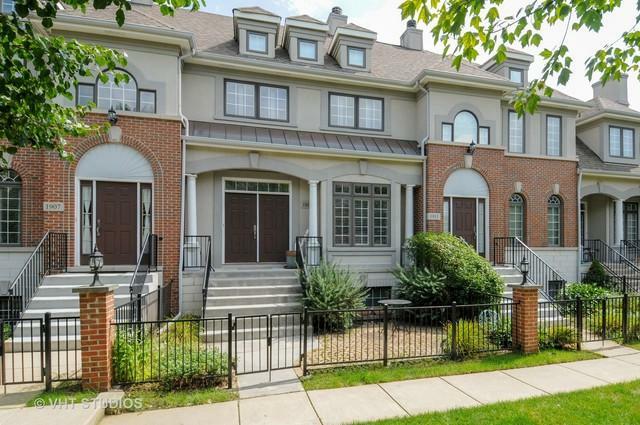 Enjoy the private gated courtyard as you ascend to the classic double door entrance of this immaculate townhome. 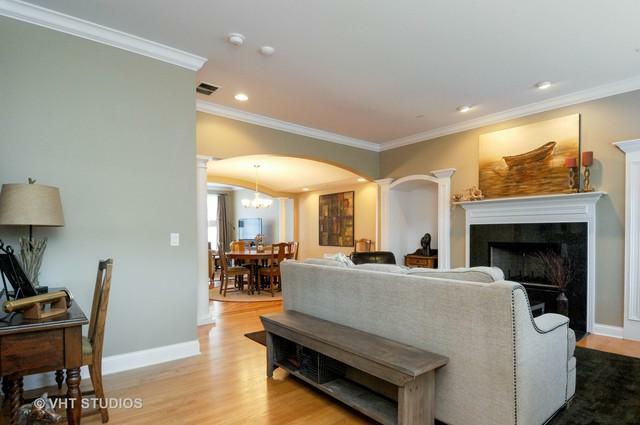 Glimmering cherry hardwood flooring throughout the first floor, living room fireplace is flanked by two alcoves. 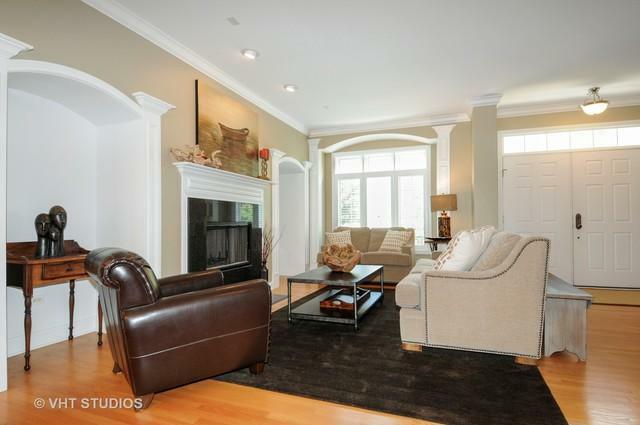 White trim, crown molding and canned lighting provide a classy feel. The spacious kitchen offer 42" cherry cabinets, some with glass fronts, granite counter tops, an island, ss appliances including a Jenn-aire stove. SGD to you own new deck, with plenty of room for grilling or just relaxing.The 2nd floor offers a magnificent master suite, vaults, plantation shutters, 2 closets, bath with dual vanities and sep tub and shower. 2 secondary bedrooms, full bath, laundry w/W&D and a planked attic w/pull down stairs for storage. Wait! The lower level is finished, freshly painted and has a large window for natural lighting and has a full bath and access to the over-sized 2 car garage. 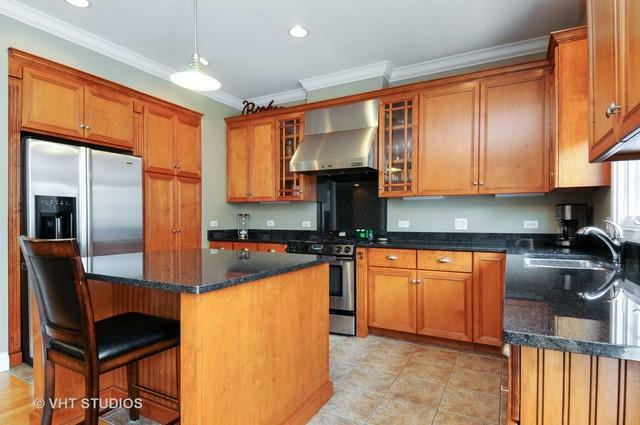 Very close to Metra, expressway, dining, shopping and more. Lot Dimensions 1051 SQ. FT.